2nd & 4th Wednesday at 7 P.M. 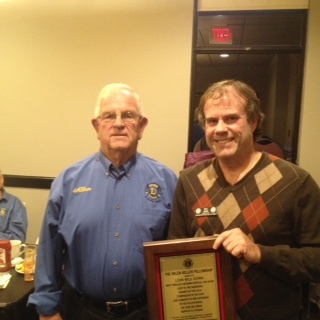 The Bluewater Lions of Sarnia are dedicated to serving the community. We are one of over 44,000 Lions Clubs in the over 200 countries throughout the world. On October 26, 2016 a long-time member, Lion Bill Core (r) was presented with a Helen Keller Fellowship by IPP Lion Allan Knight. Congratulations Lion Bill! The Bluewater Lions Club primarily serves the Sarnia and Lambton County community, but we also focus on humanitarian service throughout the world. In response to Helen Keller's plea for help in 1925 we too serve as "Knights of the Blind in the crusade against darkness".